Serve this classic Southern French dish with a crusty baguette. Heat oil in a large skillet to medium-high. 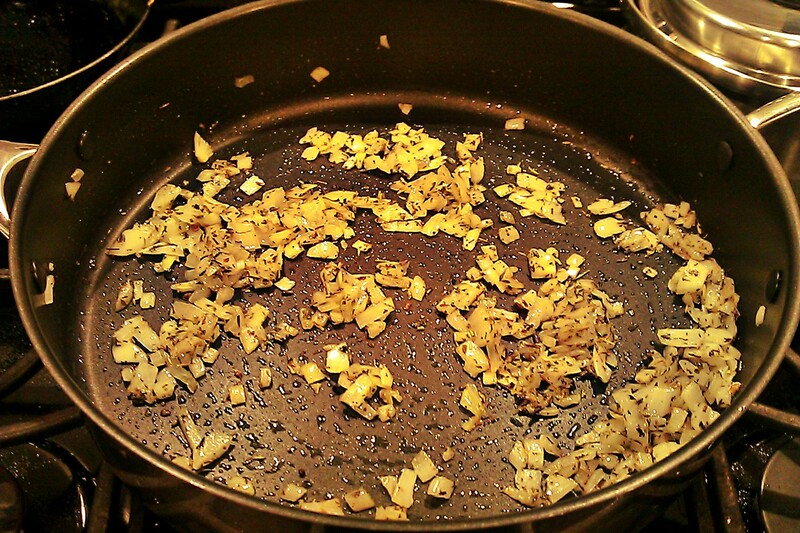 Saute onions for 2 minutes. 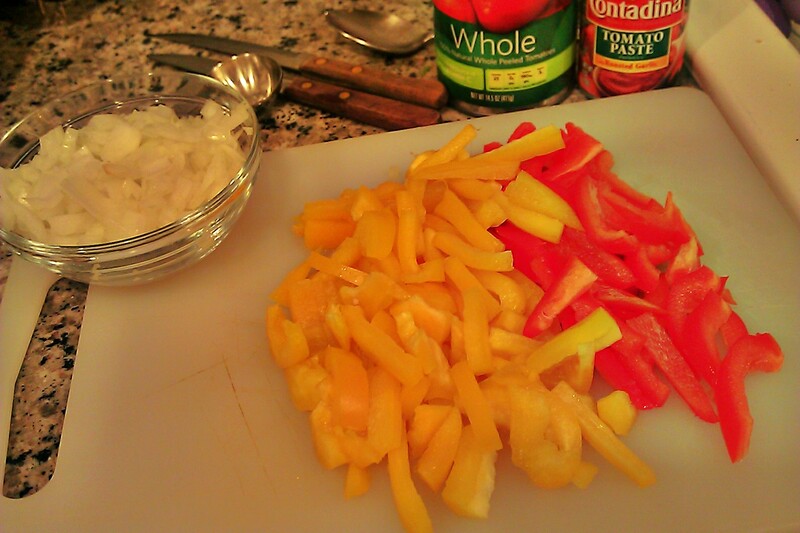 Add the Herbes de Provence and bell peppers and saute for 2 minutes. Add garlic and saute for 3 minutes until the garlic begins to brown. 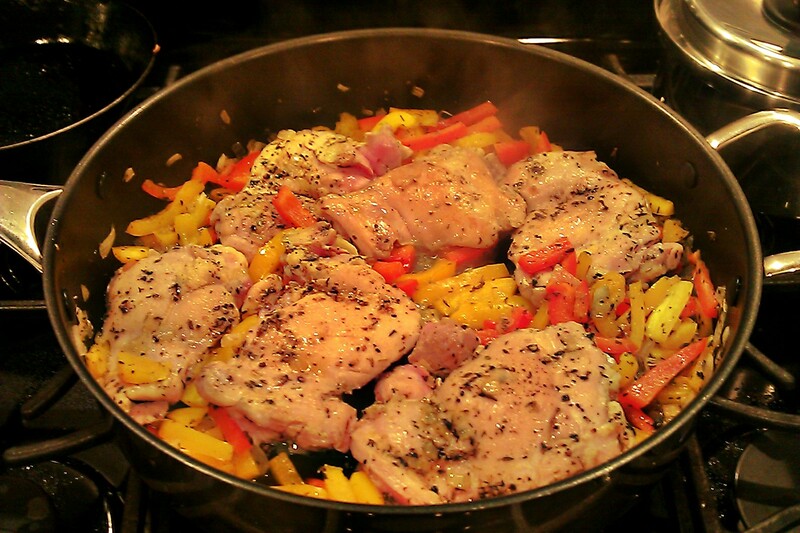 Push the bell pepper onion mixture to the edge of skillet and add chicken to skillet. Cook chicken 5-6 minutes on each side until cooked through. In the same skillet add tomato paste and cook over medium heat 2 minutes mixing it in with the bell peppers and stirring constantly. Add water, and simmer 2-3 minutes until sauce begins to thicken. 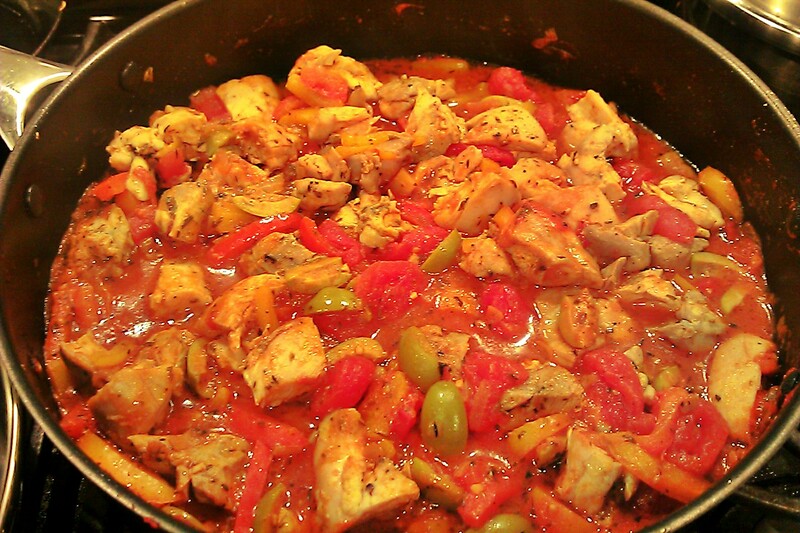 Add the tomatoes, olives and chicken and simmer until heated through. Serve with warmed buttered sliced baguette. Thanks for stopping by and liking the red bean paste pancake recipe post! I love French dishes!!! Your dish brings back memories of my visit to Provence last year…very much like what you would find on a menu there. Looks scrumptious & thank you for including info on substitutes for Herbes de Provene. I’ve seen that before but never really knew what it included. See all the things I’ve learned! Thank you! I only just discovered Herbes de Provence when I saw a special on organic herbs, buy 2 get 1 free. Herbes de Provence also has marjoram, parsley, lavender and tarragon. But the top 2 herbs are basil and fennel. I finally used it on this recipe and it was a wonderful dish. I’m going to have to keep my eyes open for the herbes de Provence. My daughter brought me a recipe book from Italy & they use that in a number of them. Of course they also have a lot of recipes for pigeon but I think I might substitute chicken for that.